Buy the Timex 5h11911 Fitness Watch with Heart Rate Monitor will enhance training. It is comparable to the Garmin watches and Polar watches. Shop now! 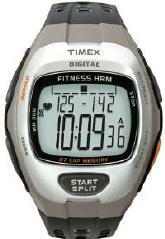 In stock Buy the Timex 5h11911 Fitness Watch with Heart Rate Monitor will enhance training. It is comparable to the Garmin watches and Polar watches. Shop now! Includes digital heart rate monitor. Target zones, Zone trainer, Average heart rate, Time in zone, Calories burned, Recovery timer, Max heart rate, Digital transmission.